@jp I notice from your profile you're in Salisbury. Is that where you are finding those lovely looking mushrooms? I sometimes head down that way (I'm near Bristol). I went for a rummage around Grovely Wood near Salisbury about a week ago but it looked pretty bare. No ceps, just a lot of fly agaric! Hi Tony - welcome Grovely woods don't do ceps though I've found Bay Boletes, Shaggy Parasols, The Prince, Horse mushrooms, & tons of Wood Blewits (yummy - but a little early yet). Thanks JP. I've found parasols and shaggy parasols closer to home and v. delicious they were too. Looking forward to Blewits (presumably when it gets colder). Tony, yes winter is usually when I've found Blewits. Funnily enough the only place in my area I've found parasols is in Grovely - shame really because I love them. Field Blewits or Wood Blewits? got lots of blewits yesterday but have trouble down loading ,keeps saying name of file not found. Lots of clouded funnels about here, and did see someone collecting them yesterday, but the mixed reviews about edibility make me suspect. Jamanda, why not just try a little. You never know, you may like them. I have loads of mushies growing here but darent eat anything. It's a good attitude to take LLP! There are a few mushrooms you should be able to identify using books alone, but I guess half the battle is knowing which ones these are in the first place. I guarantee if you find a hedgehog mushroom you'll know it's a hedgehog though, definitely no mistaking that!! Have a search on t'interweb, there are a few forays put on each year by the wildlife trust which are usually cheap Link (looks like there's one tomorrow at Carrick and one on the 16th at Restormel, don't know how close they are to you) and I think the Lost Gardens of Helligan normally do foraging things. Cost effective way of learning mushrooms (although probably better for next year) could also be to join the local mushroom group (sure there'll be a Cornwall Fungus Group). Membership for the year isn't normally too expensive, and there will be a fair few walks which don't cost anything. 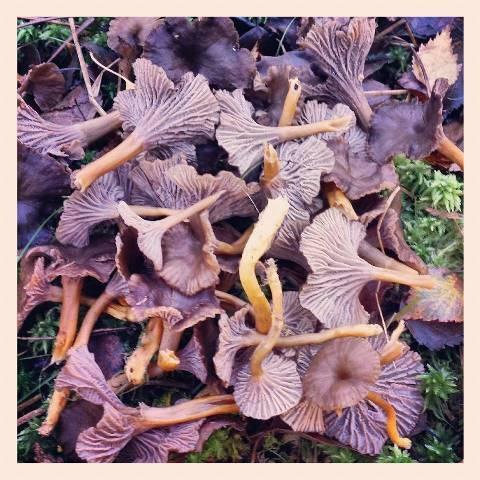 Found my first ever winter chanterelles on Sunday, mega chuffed! Loads of winter chanterelles here too. 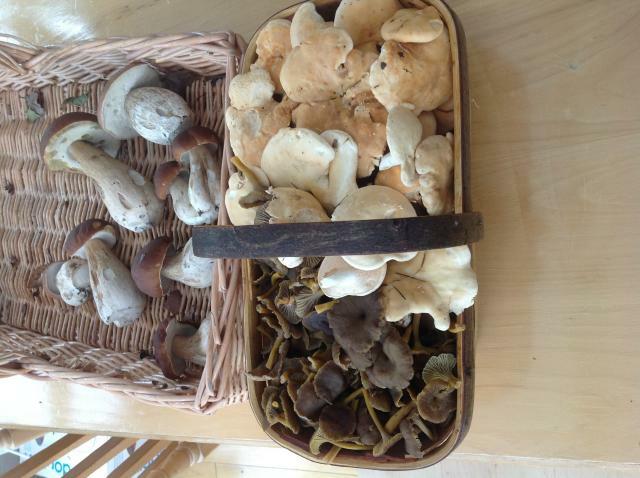 Also some normal chanterelles, geotropa, wood blewits and horse mushrooms. Not many boletes left though.